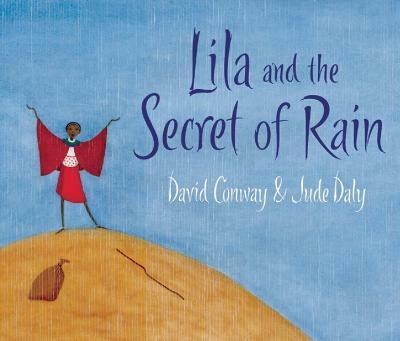 Lila and the Secret of RainThe beautiful story of how Lila saves her village by telling the sky the saddest thing she knows. For months the sun has burned down on Lila's Kenyan village. It is too hot to gather firewood, too hot to weed the garden, even too hot to milk the cow. Without rain the well will run dry and the crops will fail. Lila is so worried that when her grandfather whispers to her the secret of rain, she decides to go and talk to the sky herself. David Conway was born in Ireland but moved to England as a baby, and has lived here ever since. He currently works at home, bringing up his daughter and son, and writing for children. His poetry has been published in many anthologies, including Loose Change in association with War on Want. David lives in North London. Jude Daly was born in London and emigrated to South Africa as a young child. She went to art college in Cape Town, and now lives there with her husband, the writer and illustrator Niki Daly, and their two sons.